Obama was severely criticized for peddling false statistics. However, what the critics did not bothered to add was that although the president’s figure were incorrect, they remain terribly abysmal, especially for a country that tout its justice system as the best in the world. Ironically, the country that likes to hawk itself as the bastion of freedom and democracy, and is all over the world waging wars and toppling governments, in the name of freedom and human rights, is number one when it comes to the incarceration of citizens. American politicians appear to derive some morbid joy in enacting laws and policies that sent more citizens to prison with the stiffest terms possible, than any other nation on earth. The figures are not good: A US Department of Justice report published in 2006 said that American justice system at some point held over 7.2 million people. 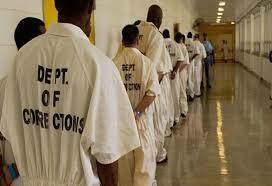 The figures include those in prison, onprobation, or on parole (people released from prison with restrictions). It is the highest in the world. No other country even comes close. 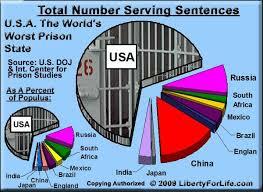 The United States has less than 4.4% of the world’s population, but has 22% of the world’s prison population. The prisoners are held in some 102 federal prisons, 1,719 state prisons, 3,283 local jails, 2,259 juvenile correctional facilities, and 79 Indian Country jails. Some are held in military prisons, immigration detention facilities, civil commitment centers, and prisons in the U.S. territories like Guam. This is shameful and we need to address this more. Has the situation improved at all in the 7 1/2 years since President Obama was elected? On the other hand, police officers are not incarcerated for killing Black people. 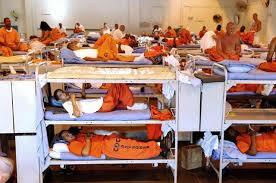 This is one way to reduce prison numbers. I would like to have seen some suggestions for positive change in this article.